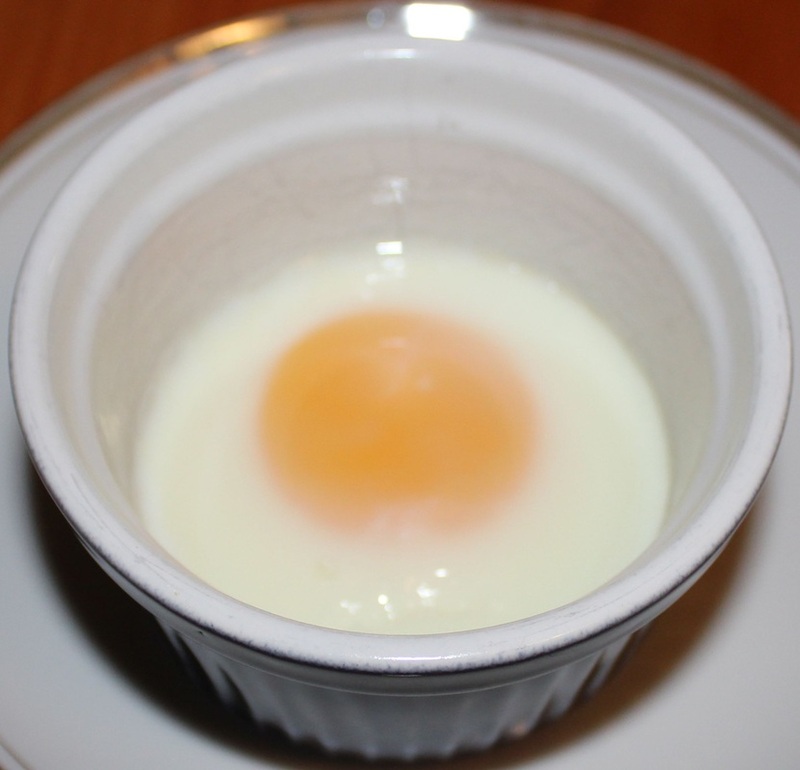 Baked eggs are similar to poached eggs but much easier to make. You can easily make them extra special by topping them with Canadian bacon, sausage, cheese, asparagus, spinach or any other ingredients you wish. Spray ramekins generously with cooking spray. Pour about 1-inch of hot water around ramekins into bottom of baklng dish.